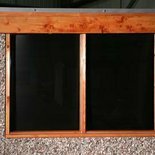 All Lidget Compton concrete garages come with a timber fixed window as standard. This will be single glazed and treated with preservative. The size of the window will be 4ft wide on the normal height concrete garages. If you specify a concrete garage with extra height then the timber garage windows will be 3f wide. Also available in 2ft wide size. n.b. Even though the windows come with a coat of timber preservative on you will still need to add further treatment for longer life. You can specify more than one window. All PVCu windows offered by Lidget Compton Concrete Garages are double glazed and supremely strong. 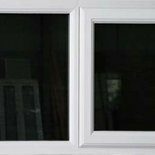 Available as a fixed or opening window to suit your needs. The standard window is white but there is an option for Decograin ‘timber effect’ windows in Golden Oak or Rosewood. Also by special order it’s possible to have Georgian wired or obscure glass if this is what you require. You can specify more than one window. Lidget Compton Concrete Garages offer a front brick option on all their concrete garages which made them blend in with brick built houses. These Real Brick posts replace the front posts on the Spar garages and totally transform your garage and make it more special for you. 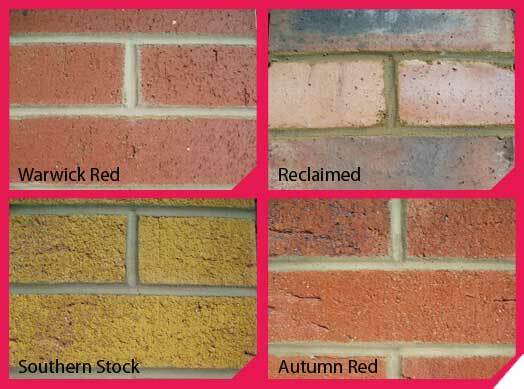 The four colours, Warwick Red, Reclaimed, Southern Stock and Autumn Red will blend with most properties and if you add some different door colours can transform these concrete garages.